Here at QLC Lofts, we are Velux-certified installers who are perfectly positioned to offer industry-leading Velux products to clients throughout Middlesbrough and the surrounding areas of Cleveland. Velux products, such as Velux windows, are well known for their quality and practicality; they help to transform dark spaces into light-flooded, ventilated living spaces, which adds to the perception of the area itself. Velux products are produced with high quality windows in mind, which means you can rest assured that you’re getting quality, bespoke Velux products that last a long time. Whenever you’re looking for Velux-certified installers who install Velux products including Velux windows in Middlesbrough, look no further than QLC Lofts. We have many years worth of experience in providing Velux products to clients in and around the Middlesbrough area of Cleveland, and our specialist team know how to get the best form these products. For example, we position the Velux windows perfectly to maximise the amount of naturally occurring light that enters the space. We only use quality materials here at QLC Lofts, which is why we’re properly certified Velux installers; we consider their products to be some of the best in the industry today. 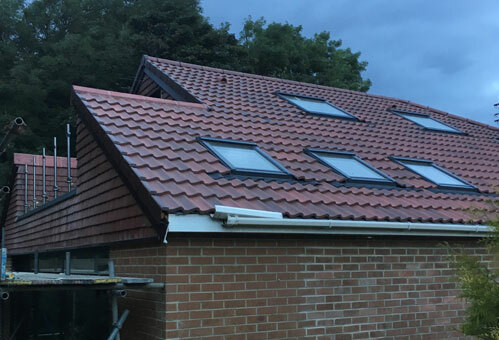 Roof Windows – We install Velux windows such as white painted roof windows, centre-pivot windows, balcony and terrace windows and burglary resistant Velux windows in Middlesbrough. Flat Roof Windows – Regardless of what Velux flat roof window you’re looking for in Middlesbrough, be it a flat roof dome, flat roof kerb or a flat glass roof light, QLC Lofts have got you covered. Modular Skylight Systems – We’re Velux-certified installers of modular skylight systems, which are available to all of our clients throughout the Middlesbrough area. Sun Tunnels – If you require sun tunnels for your flat roof or pitched roof, the team at QLC Lofts are able to meet all of your requirements. Home Automation – We’re able to help you operate your Velux roof windows and flat roof windows remotely with our home automation installation services. If you’d like to discuss any of the Velux products that we install in Middlesbrough further, be sure to call upon the team at QLC Lofts today. If you’re based in Middlesbrough or the surrounding areas of Cleveland and you require additional information on the Velux products that we offer, please don’t hesitate to get in touch with our expert team today. We’re always here to take your call, deal with any enquiries and answer any questions that you may have regarding our quality Velux products. We look forward to taking your call and assisting you in any way we possibly can. 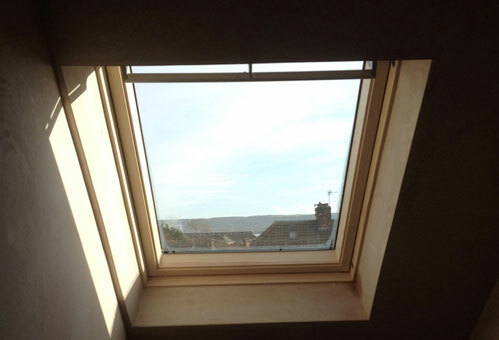 We also offer our Velux products and services to customers in Newcastle and the surrounding areas of the North East. In addition to this, we can travel further afield to areas such as London, Essex, Kent and many other areas in the South of the country.